So this is mainly posted in response to dealing with faces. It's a quick and dirty toon-like sketch but it should suit my purposes for now. Also, I'm sure there may be better information out there somewhere... but I haven't stumbled across it. A bit thing is that humans are insanely good at identifying the phenotype (outward characteristics) of other humans. But we don't usually look super close - we get kind of general shapes and feelings. Eyes, nose, mouth and cheeks are the main features that I know of. The ratios between all of the above are incredibly important. That's why a blown up picture of someone still looks like them, but if you put a mask over their eyes it's harder to tell if that's the same someone. If I make the time maybe I'll sketch out some information on the topic later. The top row of characters look really similar. You might think they were brothers or something. They have the exact same (copy/pasted) Eyes-nose-mouth area. Everything else was just quickly drawn. Consider the 2nd row. You may think they are characters with similar builds - but they have the exact same head. It's just the facial features that were changed (and some hair slapped on). But they hardly look alike at all. Now consider the final row. Even further than the first row, the eyes/nose/mouth/head is the same for all. Only the hair and pupil part has any difference. And they look the same as you would if you shaved all your hair off, grew some handlebars, grew back a head of hair and shaved the 'stache. As a final example, I took a pic of the king and tried to do a quick sketch of it. You'll notice that it doesn't quite look like the King. You can notice that the distances/ratio between all the facial features is *not* correct. If you keep looking and comparing it helps a lot better. Also one thing I've noticed is that it's a lot easier to draw someone from video than photograph. You can get a lot better feel for the 3d features of someone that way. Anyway, I hope this helps! Last edited by srilyk : 04-18-2009 at 05:47 AM. Reason: for clarity! Thanks for the effort man, but what are you trying to show? 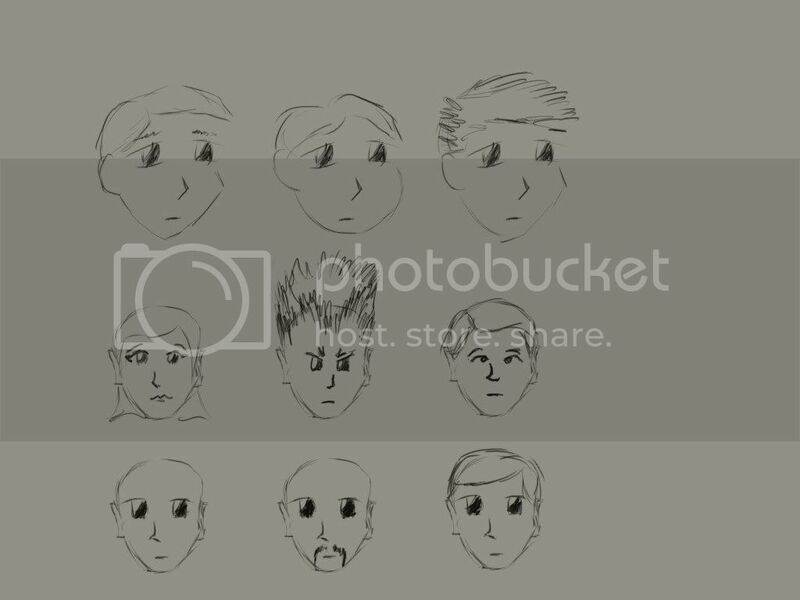 This tutorial doesnt really help anything and the sketches dont have enough effort put in them. Im going to have to be honest and leave the tutorials to those whith more experience under thier belt, and i say this simply for the reason that otherwise new people may be mislead by bad tutorials. Well, I added the post I made that lead me to the tutorial, and added a bit of warning. Hopefully that should clear things up a bit. I'd love to see a better tutorial that more clearly explains what makes people look like they do, and what to pay attention to. Got any links? You dont need a tutorial for that, because all it is, is learning how to observe properly. *1, pick up drawing implement. *2, observe the face, its proportions and its features. 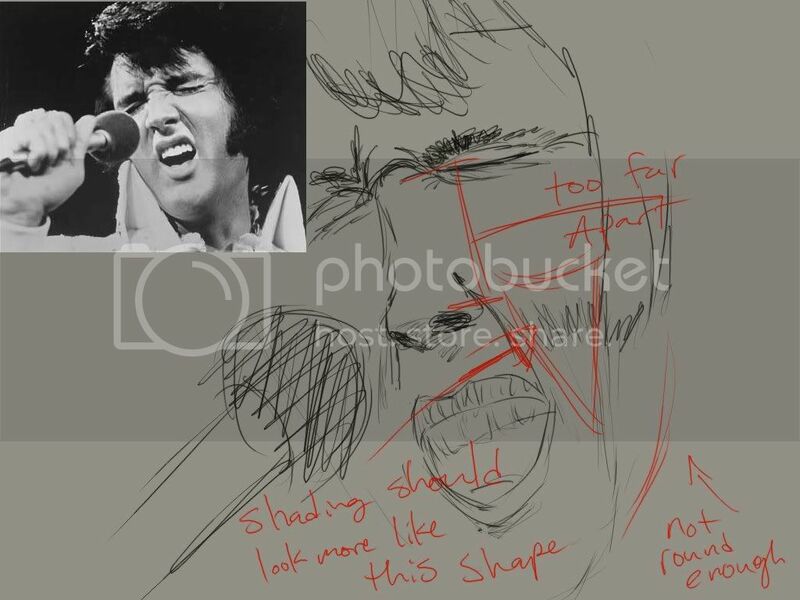 *3, draw the basic shapes with an emphasis on proportion, and ignoring details. *4, refine, and constantly check back to the ref.